A day of violent winds which restricted observations to the sea where even here it was very difficult - at one stage the large boat we were sheltering behind began to slide over the shingle. The seawatch itself was notable for 153 Fulmars and 218 Kittiwakes moving west during the morning but these were about the only birds moving. 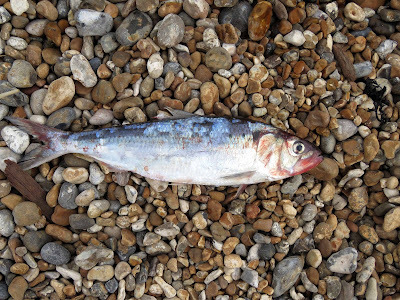 The regular Caspian and Glaucous Gulls were joined by a first-winter Yellow-legged Gull. 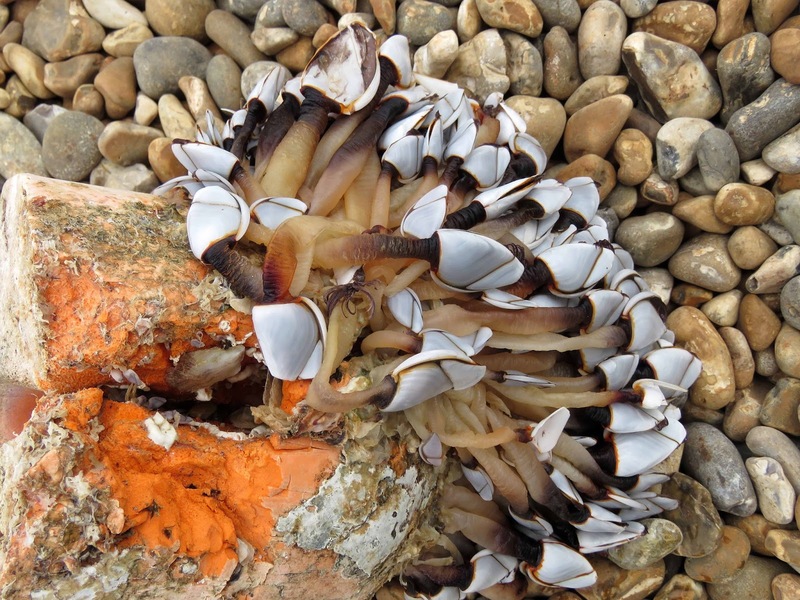 With such persistent strong westerly winds it was probably only a matter of time before Goose Barnacles started to wash up on the beach and a couple of large clusters have now been found attached to polystyrene floats. 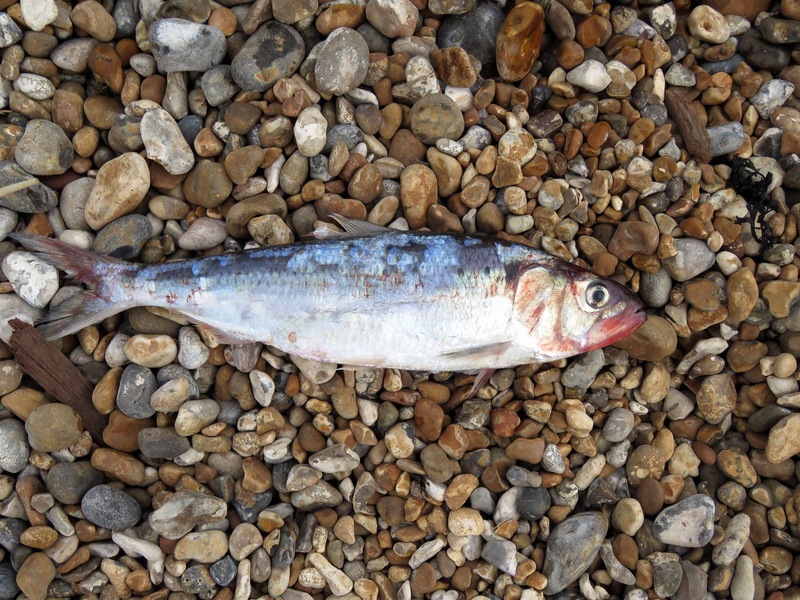 Also on the beach this afternoon was this fish which I think is a Shad sp., probably a Twaite Shad, - now a rare fish in British waters and classified as Vulnerable.